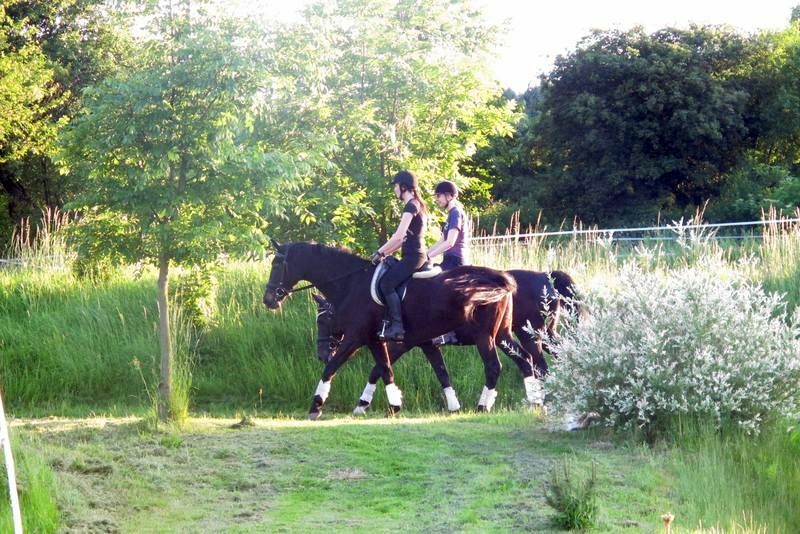 Several times a year we organise dressage clinics with various guest trainers. One regular such guest used to be the three-times dressage champion of Great Britain, Mrs. Serena Pincus, whose lessons were particularly popular. Also her husband Grand Prix rider David Pincus had been running a dressage clinic twice here. Nowadays Tamir Levitan- an Israeli rider who has abundant experience of engagements in leading German and British stables- is regulary coming over and helping us. We also hold our own special courses. 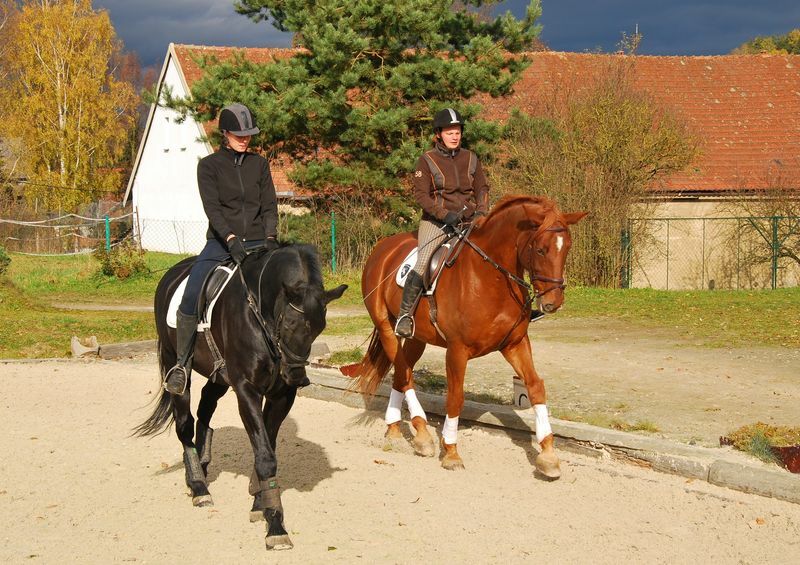 Children's dressage camps with Filip Minařík, or various tailormade short-term courses for horses and riders, are very popular. 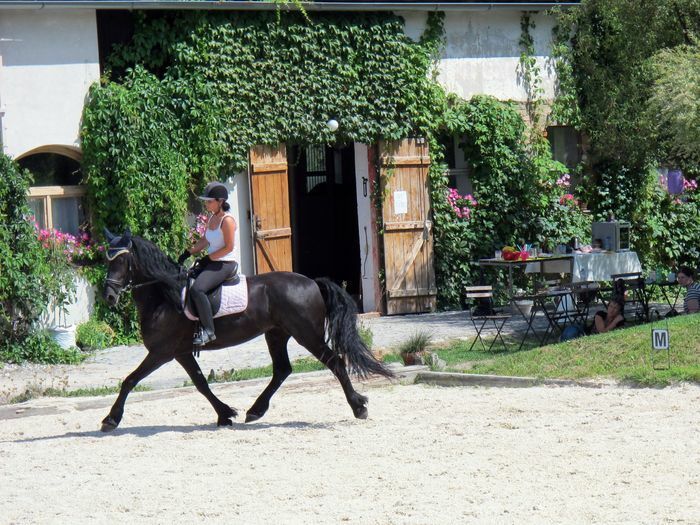 But there is also a chance to attend a workshop of equestrian fine art. Naturally an interpreter is provided for guest trainers from abroad. Accommodation for riders and stabling for horses is assured. Spectators are welcome on the basis of telephone agreement at 737 308 531 or 605 311 080. Our new programme also includes one section where our artistic passion is quiet visible. In the period between July and August we are running a cultural festival called "Kulturní léto ve Strážovicích", in which theatrical performances and concerts are included. Except hosting artists the main programme is created by Filip´s drama production of Karl May Wild West plays, where our horses are taking important part.